 MARE WEST Open Air Cinema starts on July 7th! The first retail park in Corinth. MARE WEST! Our favorite open-air film screenings return to MARE WEST to make summer Saturday nights even better! 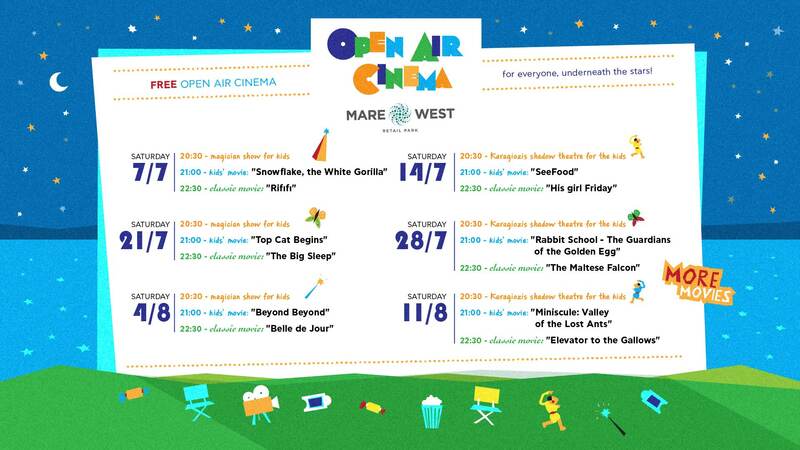 Open air cinema, the favorite habit which both young and older visitors loved, returns to MARE WEST for a second consecutive year, with event more movies. From Saturday July 7th and every Saturday until August 11th, MARE WEST will be screening favorite movies for children and adults in an upgraded, idyllic location by the sea. Every Saturday at 21.00, when the sun sets an extended 6-week film program has been prepared for MARE WEST visitors! The film screening will start as always with specially selected films for our young friends and their families and will continue with classic choices for the adult cinema fans. MARE WEST retail park will host fun activities and events such as wizard performances and the traditional Karagiozis show, for its young friends, which will start at 20.30. Kids will also have the chance to play at the retail park’s playground, equipped with special sunshades all day long. At the same time, both kids and adults will have the chance to enjoy their day and relax on the renewed coastal front of MARE WEST with the amazing view of the Corinthian sea, in a location fully upgraded and renovated, with more plants, tables, chairs and sunshades for all visitors. • Saturday July 7th: 20.30 magician show for kids/21.00 kid’s movie movie "Snowflake, the White Gorilla" /22.30 classic movie "Rifιfι"
• Saturday, July 14th: 20.30 Karagiozis shadow theatre for the kids /21.00 kid’s movie "SeeFood" /22.30 classic movie "His girl Friday"
• Saturday July 21st: 20.30 magician show for the kids /21.00 kid’s movie "Top Cat Begins" /22.30 classic movie "The Big Sleep"
• Saturday, July 28th: ​​20.30 Karagiozis shadow theatre for the kids /21.00 kid’s movie "Rabbit School – The Guardians of the Golden Egg" /23.00 classic movie " Τhe Maltese falcon"
• Saturday August 4th: 20.30 magician show for the kids | 21.00 kid’s movie " Beyond beyond" | 22.30 classic movie " Belle de jour"
• Saturday August 11th: 20.30 Karagiozis shadow theatre for the kids | 21.00 kid’s movie " Miniscule: Valley of the lost ants" | 22.30 classic movie "Elevator to the Gallows"
MARE WEST is opening its doors with a full summer mood and extends the summer open air film screening schedule for six special evenings and invites the whole family to enjoy July and August Saturday nights with beloved movies and fun activities for the kids.